For those who wish to obtain the book selected for July for 'Together We Read', I am happy to announce that the book will be, "Who Made the Builders?" by Mizanur Rahman. We will not be able to obtain a hardcopy of this book but alhamdulillah with technology we have obtained a flash copy! And....(this is a good and insha'Allah *smile*), I thought of my sisters in Islam who are unable to have books shipped to them in other parts of the world and I decided that insha'Allah, I will do another giveaway! A Muslim Child is Born will give away 5 flash copies of "Who Made the Builders?" for Together We Read" insha'Allah. To ensure that you get the flash book in your possession in time to do some activities (if you wish), the giveaway will open today (now) and close on June 30, 2010, at midnight, eastern standard time insha'Allah. If you'd like to get a hardcopy you can visit Happy Books and order your copy now insha'Allah. 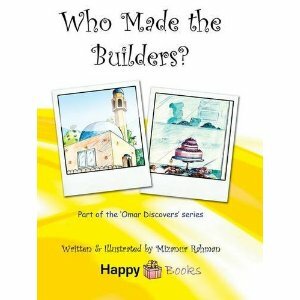 I will post the activities for this book on July 15th insha'Allah and you can link up until August 14, 2010 to share what activities you and your child(ren) did with "Who Made the Builders?". So leave a comment, and on June 30th, the random.org thingy will pick five winners insha'Allah. This book sounds fantastic, mashaAllaah, my lil boy is very interested in building @ the moment cos we just returned from umrah and he loved watching all the building going on. baarkallaahu feeki ukhtee. Jazakillah Khair for your beneficial advices, especially on the titles for the young ones. I would love to read out these books to my young ones, but due to inaccesability to any library, I just have to dream on. It's a very kind gesture on your part to share this book with us. May Allah reward you immensely. my son is a little builder and would love this insha'allah. thanks for your blog, it has some wonderful ideas masha'allah! jazakallah khair! Djazâka Allâhoe khayr a lot. This book seems very special. We would love to read this inshaAllâh.. 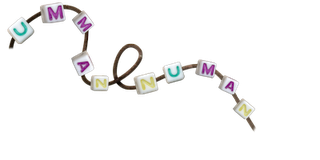 I just discovered your blog (and this wonderful giveaway) and am loving your ideas and resources. My little girl loves construction machinery, especially diggers, and would really enjoy this book, Inshallah!